Thanksgiving is around the corner, so it’s time to bring out the turkeys! And after all, who doesn’t love adjectives!? This page is appropriate for first or second grade. 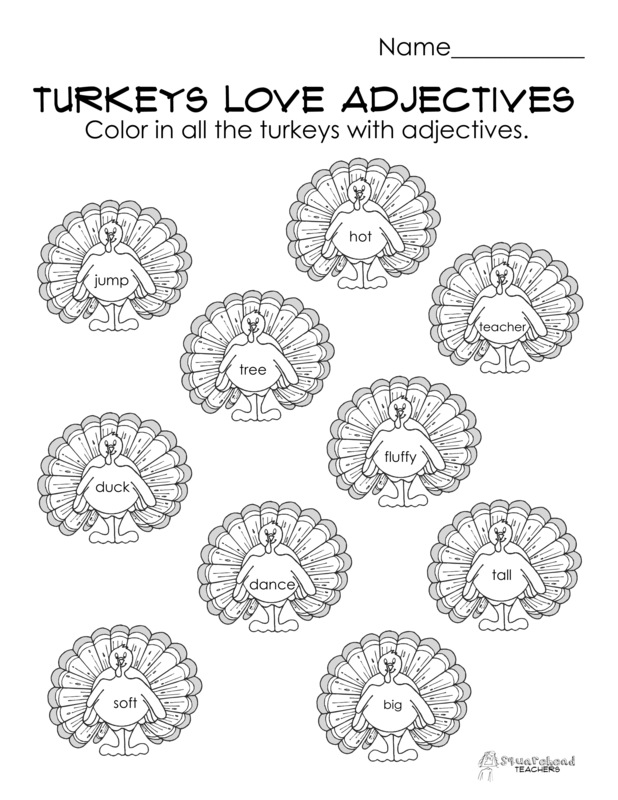 Click here for the free worksheet: Turkeys Love Adjectives Worksheet PDF Enjoy! Click here for more fun and free Thanksgiving stuff for kids! Help support this blog and keep it completely free by sharing it with your friends! Thank you! This entry was posted in Grammar, Holidays/Seasons, Thanksgiving/Fall and tagged Children, Education, Elementary School, Kids, Teacher Resources, Teachers, Teaching by Squarehead Teachers. Bookmark the permalink.